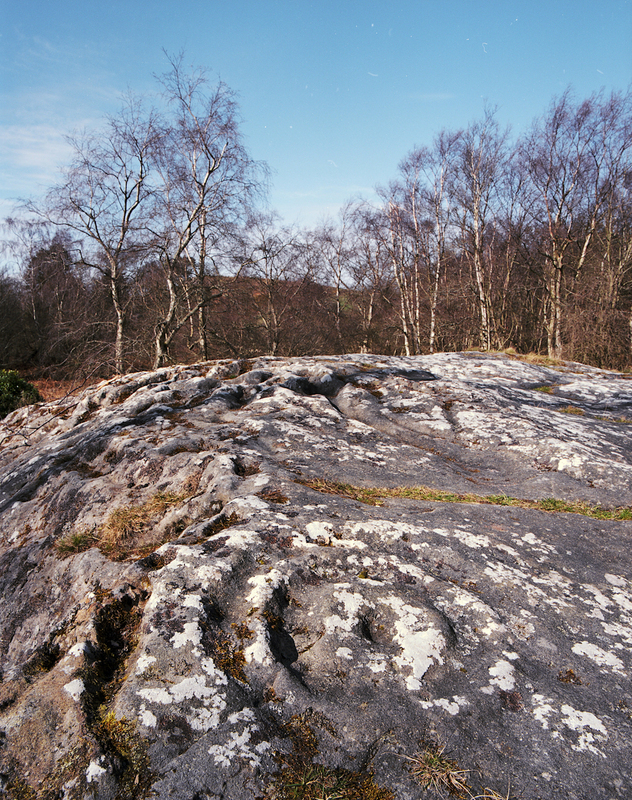 Roughting Linn in north Northumberland has two notable features – an almost hidden waterfall and a prehistoric rock art display. 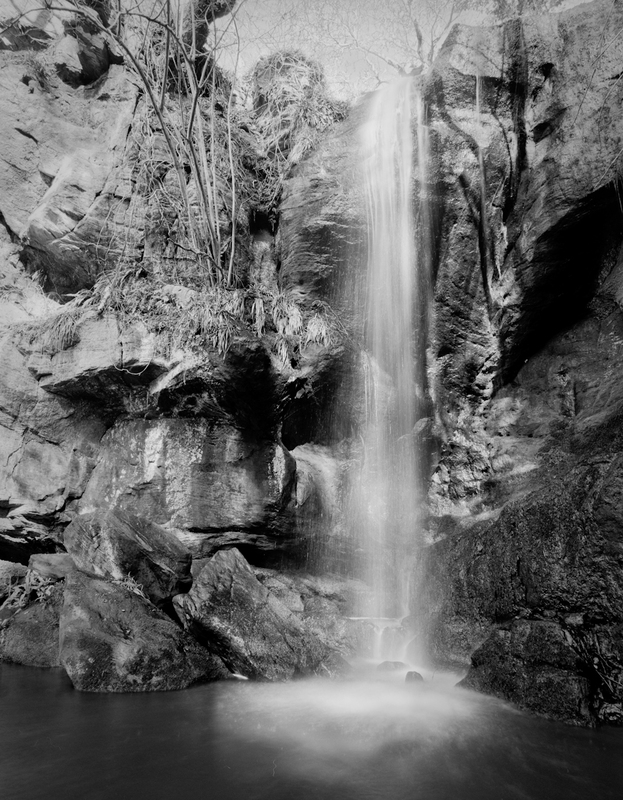 It’s not exactly a secret – photos of the waterfalls will crop up in local camera club competitions – but it’s certainly not well known among the general public. Looking at the map above, you’d be forgiven for thinking there’s nothing there, because it’s so well hidden – so a few tips on how to find the features might be helpful. First, to find the overall location, click on the map above and use the “directions” feature. There is space for a few cars to park on the verge at the south side of the crossroads you can see above. To find the waterfall, walk down the track signposted for Roughting Linn Farm. If you hear the noise of the waterfall below you, you’ve actually walked too far down the track, because it’s very difficult to get down the steep bank at this point. Retrace your steps until you see a narrow path heading downhill on the right hand side of the road as you walk back (or on the left side, if you’re lucky enough to see it first time). This path curls around above a small stream in a “U” shape and leads you to the waterfall. It might help to look at this map from Bing Maps. (I would have liked to embed the map and draw on it, but haven’t been able to make that work). You can see an unnamed stream which cross the track, goes south-west and then west before joining the Broomridgedean Burn. Follow the unnamed stream, then go upstream above Broomridgedean to the waterfall. Well, once you’ve finally get there, here’s what it looks like. All photos below on a Mamiya RZ67 with Kodak Tri-X or Portra 160 film. 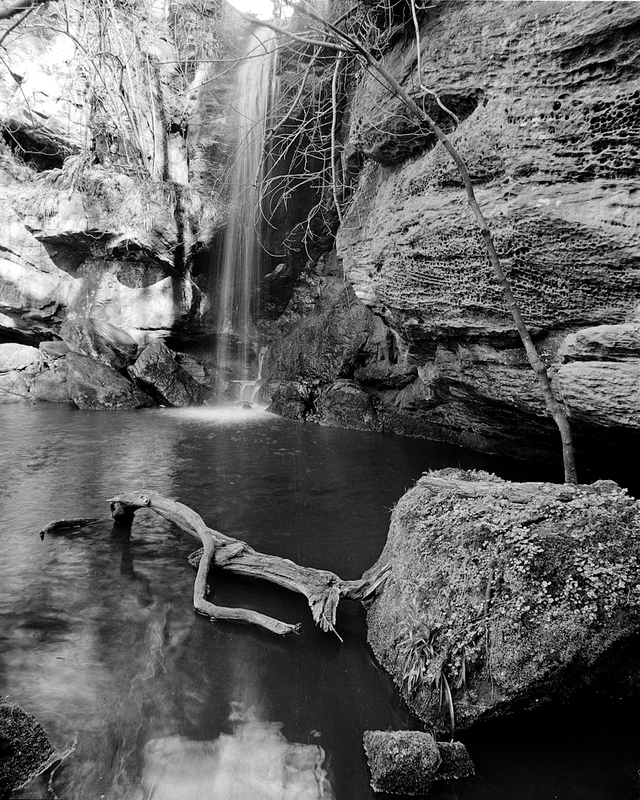 Having explored this lovely waterfall, it’s worth taking the time to explore the rock art panel. It’s said to be the largest such artefact in England, and yet it’s almost completely devoid of information or signposting – which might be a good thing. The Walking with Rock Art site gives some more information. To get to it, retrace your steps to the farm track. You can then choose to go straight across the wooded area, which involves a bit of up-and-down yomping over ditches. Easier to go back to the crossroads, and turn left for 50 yards until the trees thin out on your left and you will see the rocks. There are literally hundreds of carvings on the rocks. When I got there the sun was rather high and bright and I didn’t make the best of the features. Some more subtle lighting, or maybe a light dusting of snow, would be more favourable conditions. One thing that may be worth mentioning in the text is that the sign at the head of the track is for Roughting Linn Farm and not for Ford Wood House; in the absence of a map (our fault of course!) there was some debate around this. Thanks for the update Mike, I’ve changed the text as suggested. I was going off Bing Maps rather than my poor memory. Glad you enjoyed it. 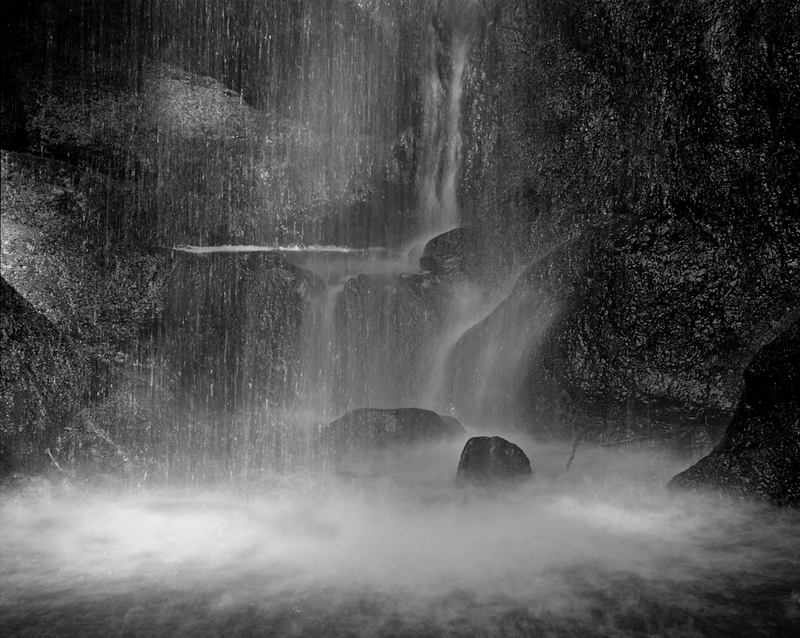 A good write-up and I love this waterfall too. I came across it last year, as you say it’s not a secret but it’s little known. In fact I grew up in Coldstream just a few miles away and didn’t know anything about it! I’m guessing the top photo was taken a while ago or there’s been a lot of treefall since. When I was there there was a fallen tree just to the right of the waterfall (roots and all) and the pool at the base was strewn with branches and debris. I still managed to make this image which I love (http://www.flickr.com/photos/duncanfawkes/8180231500/) but I’d like the opportunity to get a “clean” shot of the fall like you’ve got here. Nice work! Thanks for your visit and your kind words. All of the images in this post were taken on 17th March 2012. Your take on the subject is fantastic ! Kevin, just remembered good point about not missing the path. I came in from the bridge and scrambled down the cliff face – hairy! Duncan that’s a stunning shot, the swirling leaves add a perfect air of mystery which sum up this beautiful place. Somehow they mirror the cup and ring carvings on the nearby stone. 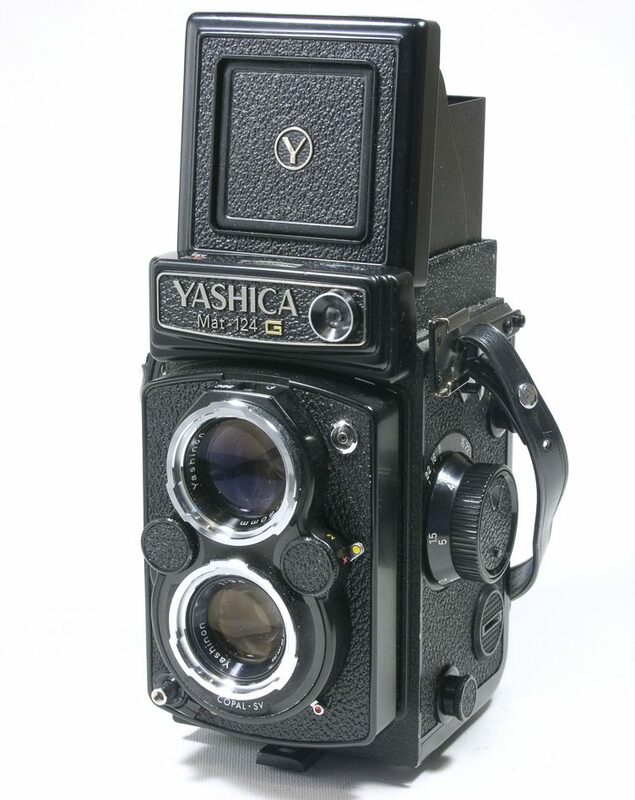 Great post, didn’t knw about this one so will be putting it on my list of things to shoot! Thanks. Good detailed post and lovely photos, thank you. Found it on a Google search, and a couple of places below was this page: http://awesomeplacestovisit.net/roughting-linn-waterfall-northumberland-england/ which appears to be an almost exact replica of your post. Thought you might want to know in case you’ve been copied. Thanks very much for letting me know about this theft of words and images … they have reused my words, and all but one of the images is mine. The image which isn’t mine replaces a map but the words still refer to the “map above”. You’re welcome, and I hope you get it sorted.